We make the plans, all you need to do is take the time! 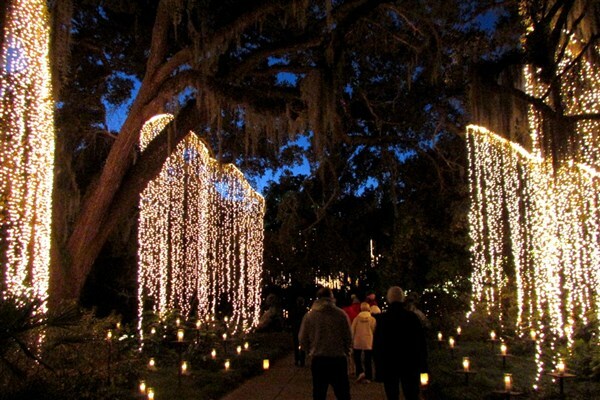 Relax & enjoy optional beach time, Salt Marsh Cruise and/or Brookgreen Gardens Tour, 2 shows in Myrtle Beach, a day trip to Charleston's Boone Hall Plantation, & a narrated carriage ride. This is truly a one-of-a-kind experience that will take you back in time as you cruise from Cincinnati to Louisville. 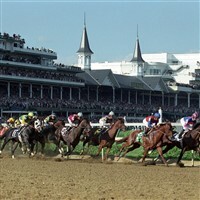 Its "The Great Steamboat Race" a 50+ year tradition of bourbon tasting and boat racing leading up the Kentucky Derby. Journey aboard and bask in the springs sunshine, taking in scenery while enjoying delicious meals, entertainment and top-notch service between quaint river town tour stops. Relive the simple pleasures of life as we travel to an island suspended in a forgotten, more innocent, time. Travel with us to the great state of Michigan to savor a slower, simpler lifestyle where people know each other’s names and would like to share their community and their history with you. Brimming with spectacular natural beauty and saturated with historic charm, Cape Cod and the Islands offer a unique destination for an unforgettable escape from reality. This tour features a Whale Watch Excursion, a Lobster Tale Cruise and a Ride on the Cape Cod Central Railroad. Join the Wolf Pack on its journey to the west for an 11-day travel to South Dakota and the Badlands. When you fly over our country, you miss out on all the good in our country. Including the Wisconsin Dells, the Badlands National Park, Mt. 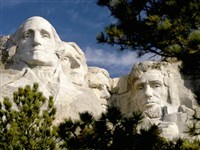 Rushmore, Crazy Horse Memorial and the list goes on and on... Remember enjoy the journey enroute to the destination! Ride the back of the "Wolf" west this summer. 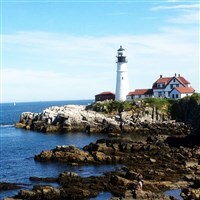 From shore to shore, lighthouses, sightseeing adventures and so much more, let’s go island hopping on this New England tour. 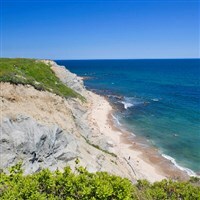 Martha’s Vineyard, the Island of Nantucket and Block Island, discover their beauty, history, legends and lore. Wisconsin or Bust! Scenic Treasures & History Packed Wisconisn. Travel with The Pack to Packer Land. 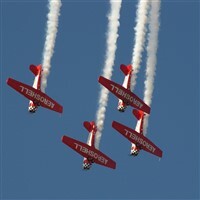 This tour has so many great stops Lambeau Field, Green Bay Tall Ships, Wisconsin Dells Boat Tour, a gondola ride, cheese tasting and the Osh Kosh Air Show. What a glorious time of year to experience the rugged Maine coastline with its picturesque, wind-swept shores and waterfront towns that offer a blend of history, culture and maritime flavor. 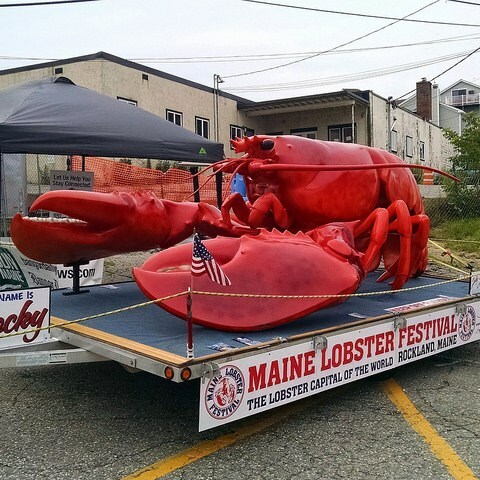 Experience one of the New England coastline's most popular festivals, the Annual Maine Lobster Festival in the "Lobster Capital of Maine," Rockland. Prepare for a touch of European flare without leaving North America. Begin with a visit to Boldt Castle in the 1000 Islands before you cross the border into Canada and witness the splendor and architectural beauty of Notre Dame, Sainte-Anne-de-Beaupre, the Citadelle, Plains of Abraham, and Montmorency Falls. This summer trip to New Hampshire is perfect for everyone, but especially those who love the scenic beauty of mountains, rivers, and lakes, not to mention the high-elevation summer day with cooler nights and warm delightful days. Not one, not two, but FOUR railway adventures await your arrival, as well as, a boat ride and delicious meals. All Aboard! 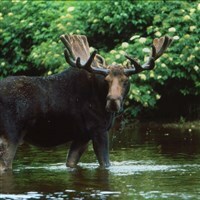 From an elk viewing excursion in the mountains and a buggy ride through the dunes, to Holland's magnificent Windmill Gardens and Charlevoix's one-of-a-kind Mushroom Houses, top it off with a 2-night stay at the incomparable Grand Hotel on Mackinac Island, this tour has it all and much more as we circle Michigan. 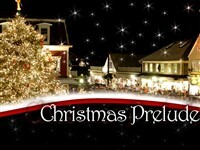 Did we mention picturesque Castle Farms, shopping at Bronner's Christmas Place, and the Air Zoo in Kalamazoo? That's all in there too! Enjoy a little piece of heaven with a summer escape to the picturesque coast of Maine. Enjoy the amenities at Sebasco Harbor Resort, free time in Freeport and Boothbay Harbor and roll up your sleeves for a traditional Maine Lobster Bake. Listen…Maine is calling you! Make Myrtle Beach your summertime vacation destination. Free time for fun in the sun, optional Plantation River Cruise and Brookgreen Gardens Tour, 3 Shows including Legends in Concert, Carolina Opry & "One, the Show", & 2 fabulous dinners, all we need is you! This tour takes us to Kentucky where we will learn all about the Bourbon, Horses, Moonshine, Mountains and Music! This fun-filled 7-day adventure will have you learning all about the Kentucky traditions, there is so much to tell you just have to read the detailed itinerary to learn all about this amazing tour. Did we mention breakfast on the backstretch of Churchill Downs with Jockey's and trainers is also included in this package. "Escape to the Cape"! 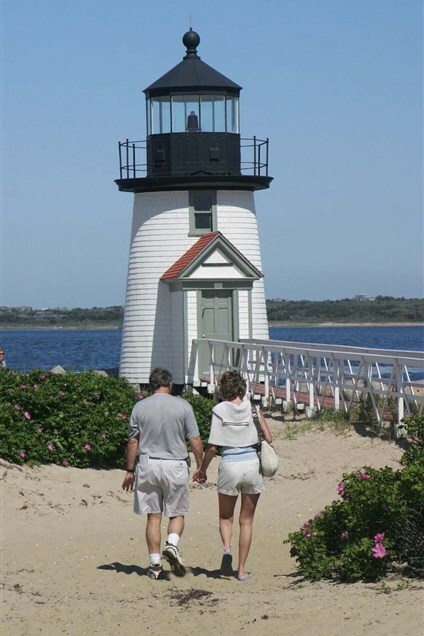 Our Cape Cod tour offers island tours of Martha's Vineyard or Nantucket, a thrilling whale watch or scenic sandy dune tour, the history of Hyannis including the JFK and WWII Memorials, a stop at Plymouth Rock, a hands-on lobstering cruise, and a cranberry bog tour. 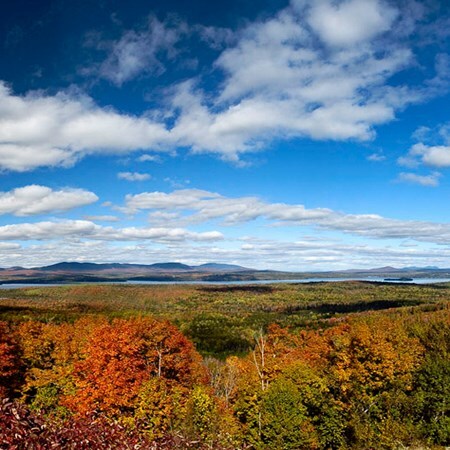 With the crisp autumn air comes the chance to experience the lush green forests and kaleidoscope of colors that welcome you with open arms to New England. From quiet coastal villages to scenic mountain vistas, New England offers a variety of settings for nature’s brilliant show. With the crisp air of autumn comes the chance to experience a quintessential excursion to view the autumn colors in New England. From quiet coastal villages to scenic mountain passes, New England offers a variety of settings for nature's brilliant show. Join Wolf's Bus Lines for our Grand Tour for 2019 this includes touring along Route 66 - Albuquerque Ballon Festival and 4 National Parks (Grand Canyon, Mesa Verde, Zion and Bryce) all in 22 days. 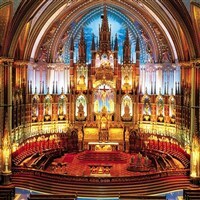 This tour offers so much more you just need to check out the detailed itinerary. Autumn abounds and provides a corridor of color through which you travel to the rugged Maine coastline with its scenic, wind-swept shores and waterfront towns that offer a blend of history, culture, and maritime flavor. Witness the unrivaled natural beauty of Acadia National Park with its glacier carved mountains that rise from the sea. 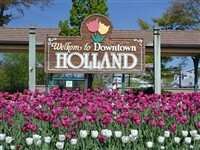 What do you get when you combine the natural fall beauty in the Smoky Mountains; Branson-style, professional song, dance and comedy entertainment; delicious down-home meals; a unique town nestled up to the Smoky Mountains with shops, restaurants and entertainment? 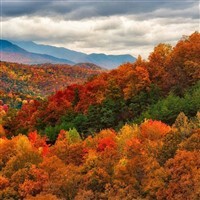 You get autumn in the Smokies Wolf's Tour. This is a great fall get-away trip you don't want to miss!! 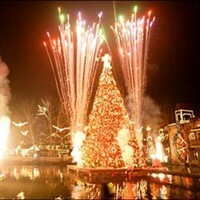 Elaborately adorned and ready to entertain you for the Holidays, find out why the Tennessee Smokies continues to be one of the most magical destinations during one of the more joyous times of the year. If you like Maine in the summertime, you will love Maine all decorated for the holidays. Grab your scarf, mittens, and comfortable walking shoes and join Wolf's Tours on this magical holiday tour of Maine.